TriMet General Manager Neil McFarlane has selected Doug Kelsey as the agency’s Chief Operating Officer. Kelsey, 56, will lead the agency’s Transportation, Maintenance and Information Technology (IT) divisions. He will also have a dotted-line responsibility for the Safety & Security Division. He comes to TriMet from TransLink—the regional transportation authority in the Vancouver, B.C., metro area – where he served in many capacities, most recently as President and General Manager of its subsidiary British Columbia Rapid Transit Company Ltd. Kelsey replaces Robert Nelson, TriMet’s Interim Deputy General Manager who has served in a similar capacity as COO since July 2013. Nelson plans to retire. Kelsey will also provide critical transportation and urban planning leadership and analysis and will have executive management responsibility for the successful deployment of capital projects once they become operational. He begins work Monday, November 30. His salary will be $208,000 annually. In addition to leading TransLink operations as COO, Kelsey also served in other roles there, which include Chief Operating Officer/Sr. Vice President (2010-14), President of Coast Mountain Bus Company (2010-11), President and CEO of British Columbia Rapid Transit Company (2002-10) and President and CEO of West Coast Express (1999-10). Prior to TransLink, he worked in executive, managerial and technical roles within the transportation, multi-unit retail, and waste management and oil industries. He is a past board member of the Western Transportation Advisory Committee and other board of directors positions. 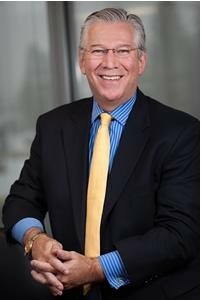 He was an active member of APTA’s Awards Committee from 2000 to 2014 and a member of the APTA Rail CEO committee. He earned a bachelor’s degree in business administration from Principia College and also completed the CEO Development Program at Northwestern University’s Kellogg School of Management.